At times jaunty and carefree, other times sinister and foreboding, The Raven’s orchestral soundtrack will stick with you long after you’ve stopped playing. When you can still happily hum those trademark notes weeks and even months later, it’s a sign of something special. 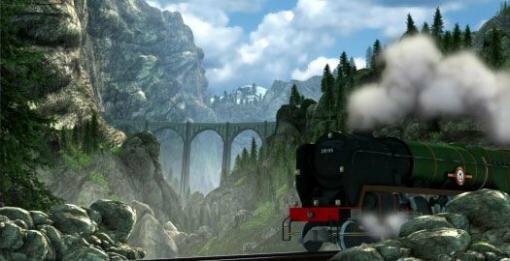 The opening track manages to set up the whole premise right away: as a friendly Swiss constable rides a train through a scenic mountainside, the accompanying melodic strings establish a whimsical feel that reflects his affable nature… until the horns build, signalling the danger that lurks ahead, both for him and the train’s precious cargo… but then the sweet violins return once again. Is everything really as it seems? Later on, refrains from this theme recur throughout the rest of the score, tying seemingly disparate music and narrative events together in unexpected ways in this three-part 1960s heist adventure from KING Art Games. Music in The Raven accomplishes what any good soundtrack should: it immerses you into the action, subtly manipulating your emotions without ever drawing attention to itself. But when you do stop just to enjoy the music, it’s hard not to keep listening. 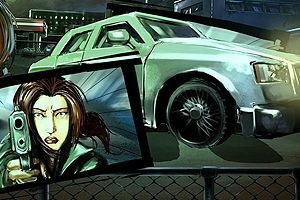 It’s no surprise that the soundtrack is included separately, or that one of the game’s extra features shows the orchestra recording some of the songs. This is a score that has been skillfully composed and deftly integrated to encapsulate each significant on-screen moment. There’s a great variety to enjoy, as even individual tracks manage to build to tense crescendos before quickly drifting back to being light as a feather. It’s reminiscent of a great Hollywood score, harking back to the John Williams films of old. It’s simultaneously exciting, thrilling, mysterious and captivating. But above all, there’s such a strong sense of adventure. And in this genre, what more could you ask for? Well, you could ask that we give it the Best Music Aggie for 2013, so that’s exactly what we did! We can hardly disagree with your selection for Best Music, since we made the same choice ourselves last year after the initial Cognition episode. Between the wonderful score composed by Austin Haynes and the haunting closing credits song by Erica Reed voice actor Raleigh Holmes, the soundtrack is a superb musical complement to a powerfully dramatic story, and a deserving award winner any year.